A program of short films by and about Attawapiskat and Toronto youth followed by a discussion. Butterfly Monument documents the creation of a monument to young Cree education advocate, Canada’s first public statue honouring an Indigenous youth. Born in Moose Factory, Ontario, Jules Arita Koostachin was raised by her Cree speaking grandparents for part of her childhood in Moosonee, as well as her mother in Ottawa. She is from Attawapiskat First Nation, currently living in Sudbury with her family. She completed graduate school at Ryerson University in Toronto in 2010 and was awarded the Award of Distinction for her thesis work, as well as the Masters level Ryerson Gold Medal for academic achievement. 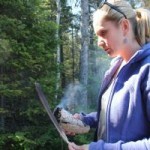 While completing her Masters, Jules accomplished her first feature documentary film entitled Remembering Inninimowin about her journey of remembering Inninimowin, the Cree language, distributed by V Tape in Toronto. After graduation, Jules was one of six women selected across Canada for the 2010/11 Women in the Directors Chair program at the Banff Centre, and she was approved for the development (APTN) of her television series AskiBOYZ in 2011, about two urban Cree youth going back to the basics, which is now in production with Big Soul Productions. Previous to her Masters, she graduated from Concordia University’s Fine Arts Program in 1996, with a Major in Theatre, and she continues to be an active member of the arts community in several different capacities. 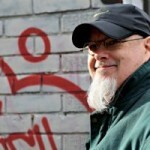 Rick Miller is a filmmaker and photographer with a long history in the Canadian documentary industry. He has over 100 editing credits with CTV, TVO, Discovery, History, and Bravo. Rick has edited award-winning theatrical documentaries that have screened in North and South American, Oceania and Europe. Rick’s documentary on creativity and insanity received an Ontario Arts Council Deaf and Disability Arts Projects Grant and a Canada Council Cultivate: Creative Development Grant for artists living with mental illness. His short autobiographical documentary, Memento Mori, screened at the 2016 Rendezvous With Madness film festival, and he was the 2016-17 Media Artist in Residence with Workman Arts in Toronto. Rick holds a Master of Fine Arts in Documentary Media. Currently living and working in Toronto, Rick is a member of the Métis Aboriginal Community of Gaspésie, Québec. A collection of short films created by students at Vezina Secondary School in Attawapiskat First Nation as part of the Planet in Focus North-South Eco-Film Lab. A collection of short films created by students in the TDSB Arts Co-Op Program. Click here to submit your film to the Ontario 150 Special Spotlight: Looking Forward programme.